As someone who has grown up playing sports and sports video games, I had to take the opportunity to review HB Studios’ new game, The Golf Club. 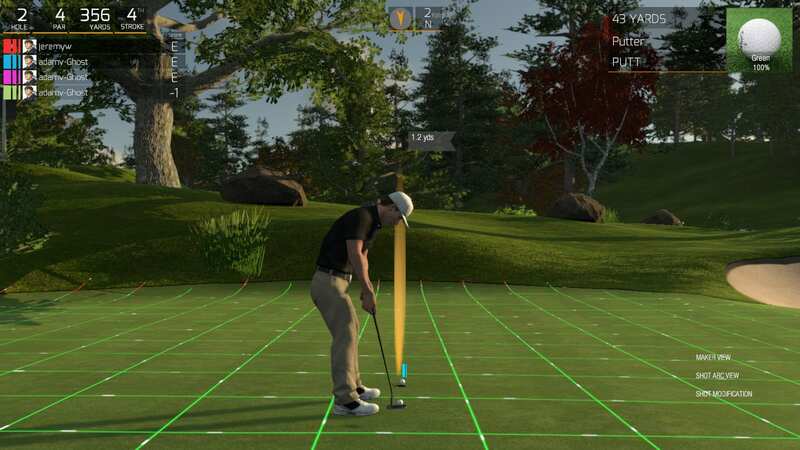 The Golf Club isn’t your ordinary sports game, and is more of a golf sim than anything else. There are many positives and negatives regarding it though, which will be discussed later in the review. 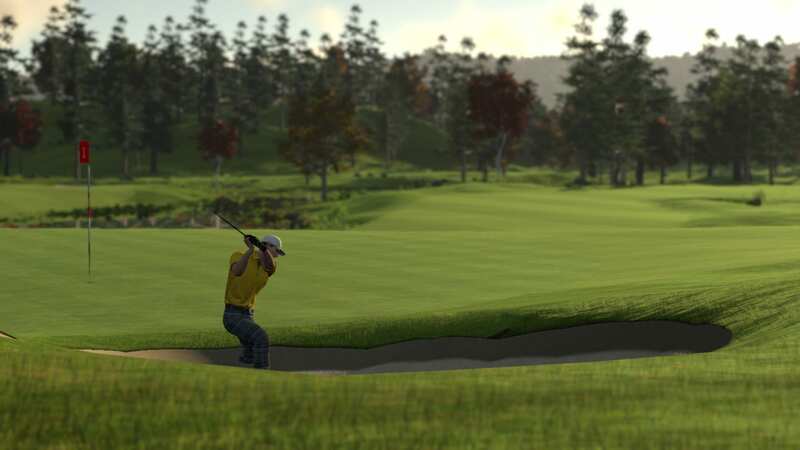 The Golf Club is one of the first main current-gen releases for HB Games, becoming a great milestone for the Canadian company. When I first started up the game I was taken away by the menu. It has an Xbox One dashboard-esque to it, and the colours are very strong and vibrant. I went straight into golfing, and had the choice to choose my character. I had done little research on this game before hand, and was expecting to have the choice to play as someone on the PGA tour, or at least have the opportunity to create my own character. Unfortunately I was forced to pick one of 10 or so default characters. Once I picked generic white man 2 I chose the clothes (which was also very lacklustre to be honest). The creation aspect of the game is focused too hard on the course creation, and therefore it makes it hard to find a connection with your character. On the other hand, the course creator is truly a great tool. It allows you to choose the type of terrain you want the course to be on, and the amount of trees, water, and hills. Once you have the basic settings done, it creates an 18 hole course automatically for you. You can choose to save and play it, or you can go hole by hole and edit pretty much everything. You can really make courses hard or easy based on this, and cater to your style of play. It also allows for a lot of replayability, and you can share all of your courses online with your friends and others. Another thing that is better than I expected is the graphics. The Unity engine is used to power the game, and although it is normally used for smartphone games, The Golf Club pushes the engine and creates a beautiful environment to play golf in. The videos on youtube or other game sites do not do justice for the way it looks, and everything from the grass to the birds in the sky make the game feel more realistic. The controls also add to the simulation experience, and it has a large learning curve. The game has a minimal approach to controls, and much like real life you must rely on the conditions to decide how to approach your next shot. There are many great aspects of the game, but there are also some very mediocre aspects. The courses that are pre-loaded are very bland, and there is a difficulty jump from easy to medium, and medium to hard. Perhaps the worst thing about this game is the fact that there is no commentator, but instead there is a caddy that comments on every one of your shots. This caddy doesn’t help you much when it comes to your next shot, and honestly sounds like they got some guy in the office to quickly record the most anger-inducing lines ever. If you barely miss a par putt, he says things like “ooooooh, I really thought you were going to make par on that one.” There are actually some lines where you can hear the microphone muffle. Besides this, there are some frustrating things such as the flag not flying in the correct way or the camera glitching out. The latter part of this list isn’t that noticeable, and is honestly just me being nit-picky. The Golf Club doesn’t have much to offer, and should honestly be priced around 20 dollars. It needs a bigger community to be able to be successful, as the map creator would then play a bigger part. The graphics are good, and the course creator is ground breaking, but unfortunately it is hard to have fun with very little personal customization. The game deserves the 7/10 because it is not good but not bad. It is one of those games you will go back to every so often, but not really recommend it. From a developer aspect, it is a groundbreaking game for HB Studios when it comes to making independent sports games. They may truly be a rival to EA Sports in the not so distant future. What do you think? Will you pick up The Golf Club? Let us know in the comments below!